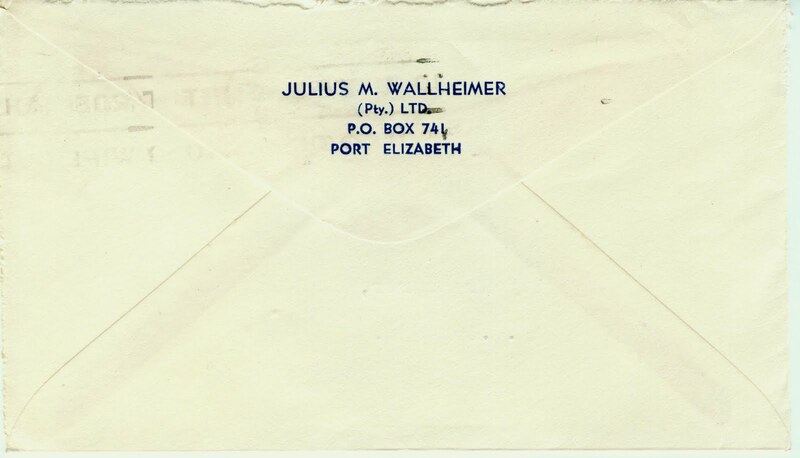 This is my last gambit as far as this collection of envelopes addressed to the Port Elizabeth City Treasurer in 1961 is concerned. 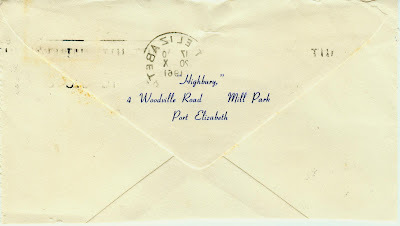 I kick off with another oddly addressed one. 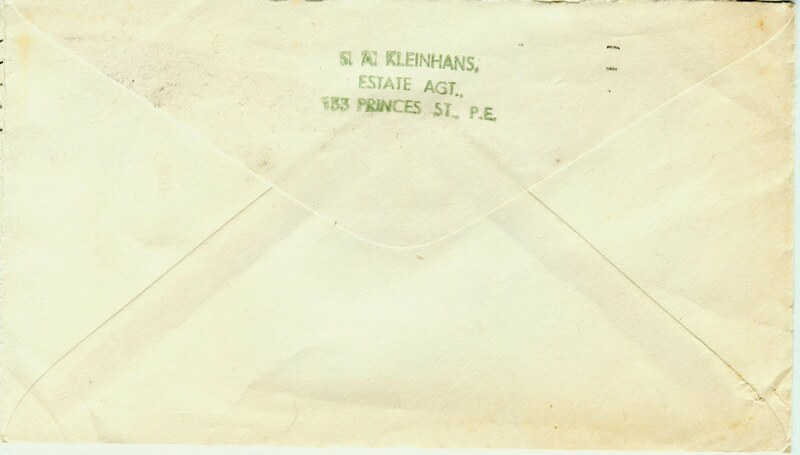 You have to admire this person's lack of respect for bureaucracy. 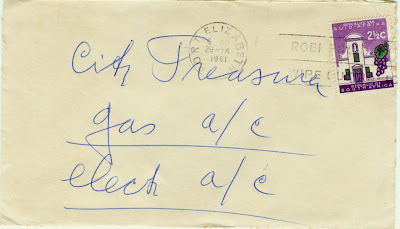 Interesting, too, is that he was buying gas from the municipality. I don't think you can do that today. Of course back then, the city was also generating its own electricity at the Swartkops power station. 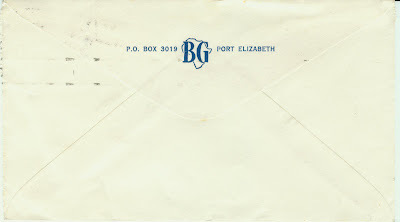 I may be wrong, but I seem to recall that BG made the school shoes I wore in primary school. Or was that Bata? 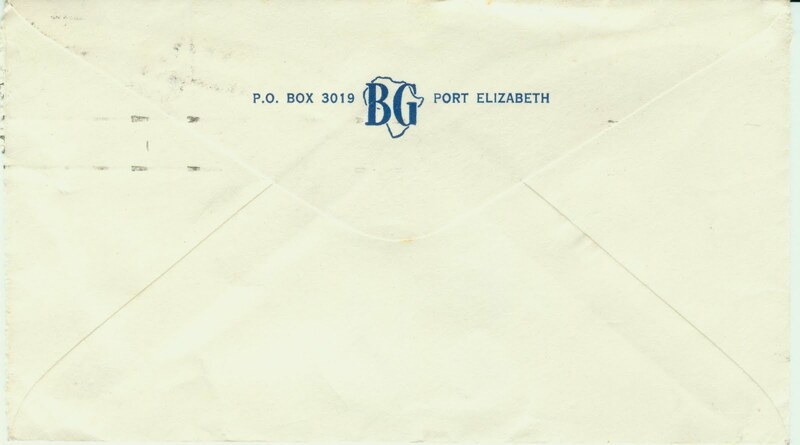 Well, for starters, BG is no longer listed in the PE directory. And a google search revealed no obvious leads. I wonder if anyone remembers this firm. 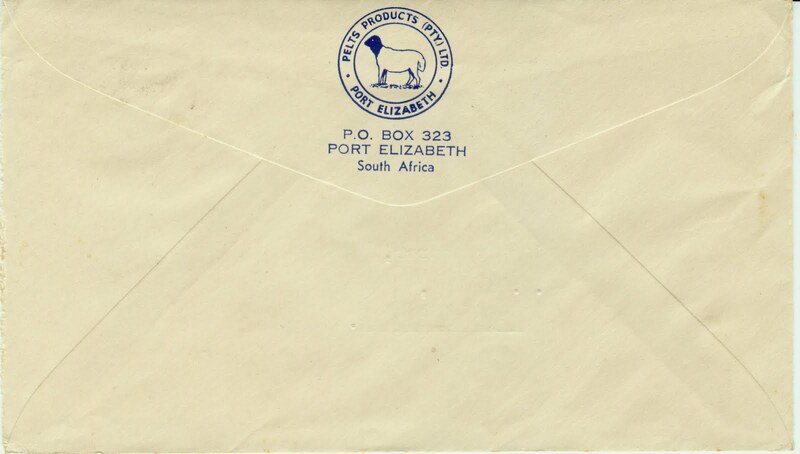 Who'd have thought that Pelts Products would still be in existence in Port Elizabeth, 50 years on? Well it is in the phone book, with an address in Markman Township. It's also on the Net, in a business directory, listed as a "hide and skin merchant", which seems to hark back to a time long ago. 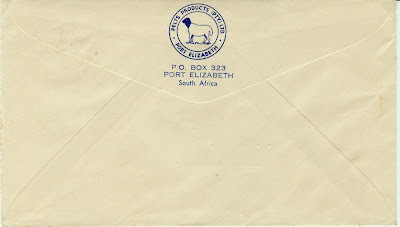 But these are not wild animals, but the sheep and goats of the Karoo. Lake Pharmacy, in Sydenham, no doubt got its name from the nearby North End Lake, now famous for its proximity to the new Nelson Mandela Stadium. 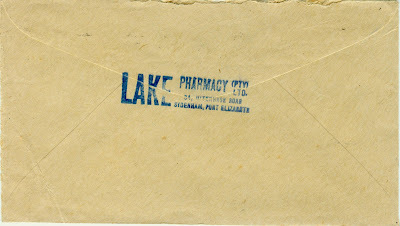 And there still is a Lake Pharmacy in the phone book - except it is in Walmer. As one of Port Elizabeth's oldest and finest suburbs, it is no surprise that this Mill Park resident saw fit to have his address printed on his envelopes. 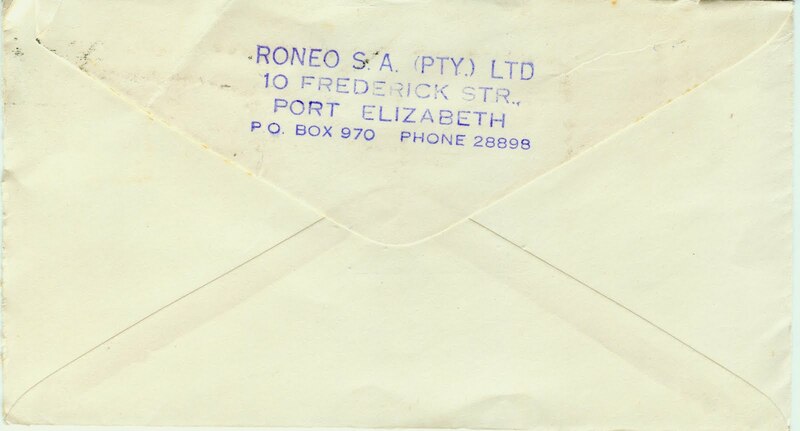 Those of us who grew up in the post-war era - indeed up until the 1980s when other technology took over - will be familiar with the term roneo. 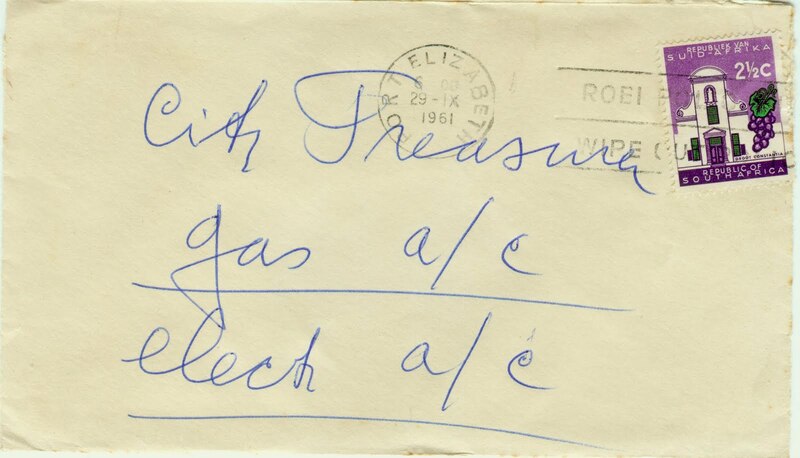 Teachers, especially, would roneo off notes, letters to pupils and so on. 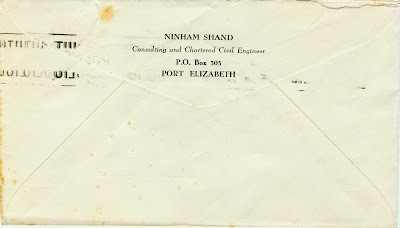 This firm, alas, is no longer listed in the PE directory. Wikipedia tells that a mimeograph is a stencil duplicator, ideal for short-run office printing jobs. 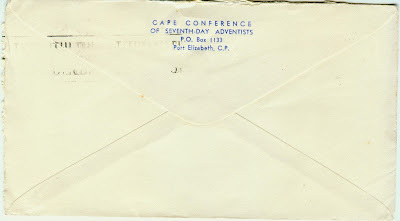 They were overtaken from way back in the 1960s, it seems, by photocopying and cheap offset printing. Not surprisingly, Thomas Edison is credited with inventing the mimeograph back in 1976. 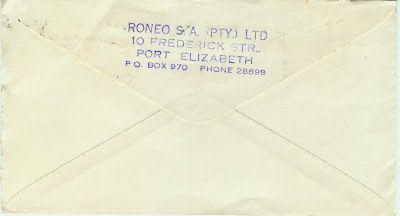 So where did "roneo" fit in? Well, Wikipedia tells us that Roneograph, or Roneo machine, was another trademark used for mimeogaph machines, Roneo being a contraction of Rotary Neostyle. 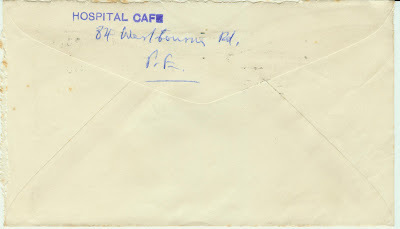 There is still a Hospital Cafe in the PE phone book, but it's in Korsten, not Westbourne Road. 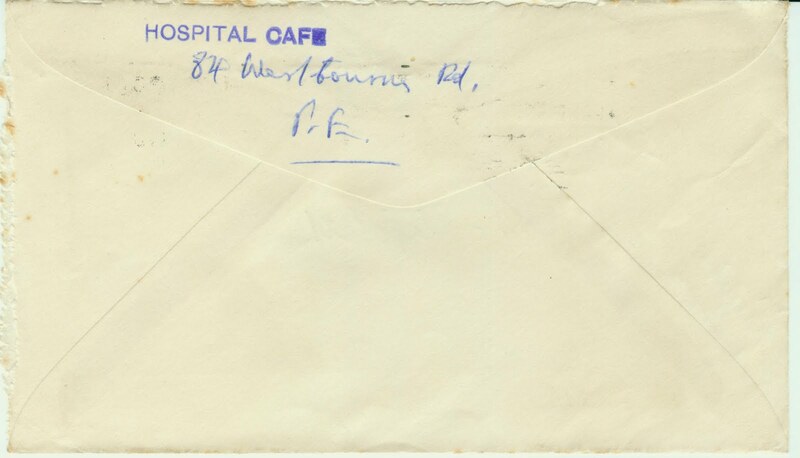 This one was probably not linked to the nearby Provincial Hospital, but got its name because of its close proximity to that hospital. 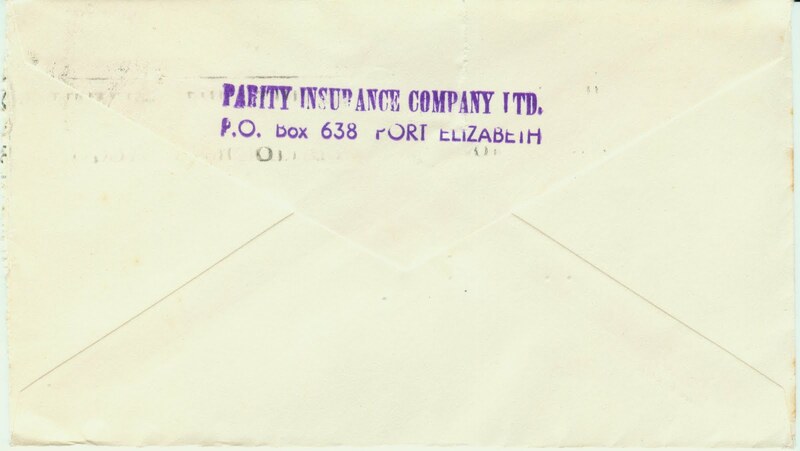 Just so we remember, this is how the PE Municipality sent out its invoices. 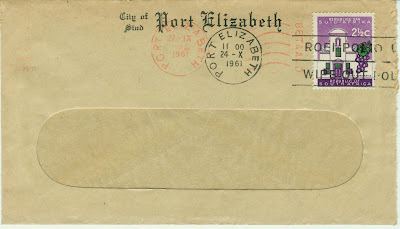 Of course the City of Port Elizabeth has been subsumed into the Nelson Mandela Bay Municipality. 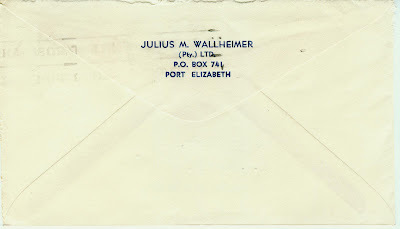 Whoever Julius Wallheimer was, he's no longer listed in the PE phone book. 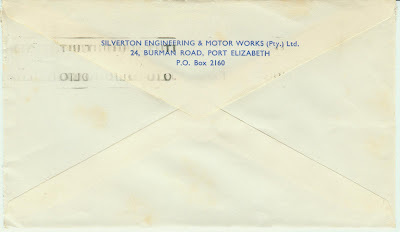 Surely Silverton Engineering & Motor Works is no longer with us. 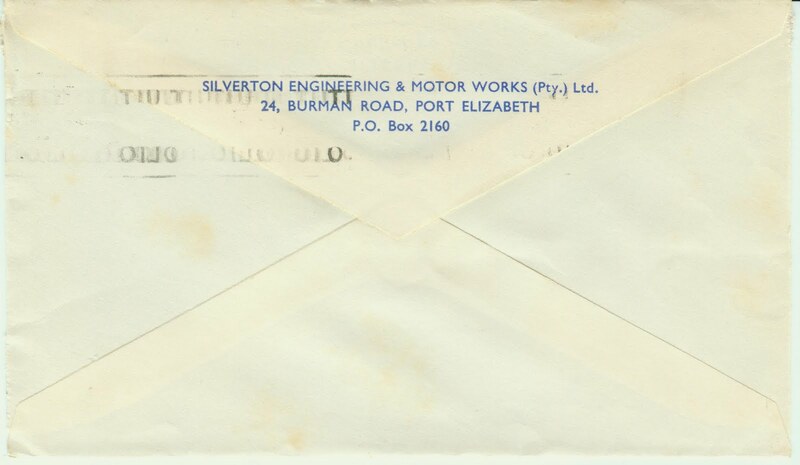 Well it was once in Burman Road, but the present incarnation, Silverton Radiator Services, is in Slater St, North End. 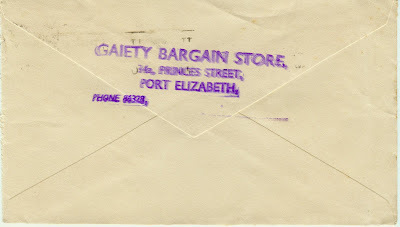 And their website shows they are to be found throughout the Eastern Cape. 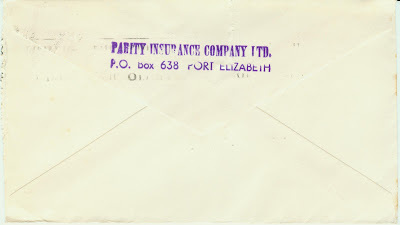 Unsurprisingly, Parity Insurance is no longer listed in the PE phone book. And it don't seem to be on the Web either. SA Kleinhans was once an estate agent in town, but he's no longer listed. 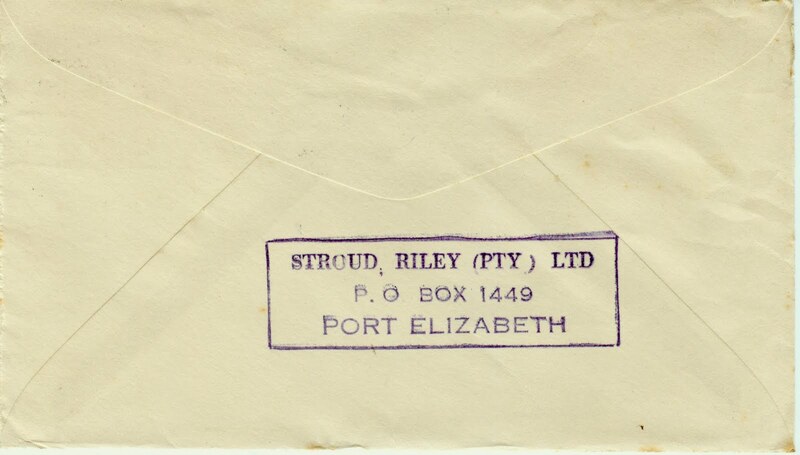 So what of Stroud, Riley? Surely also history? Indeed not. 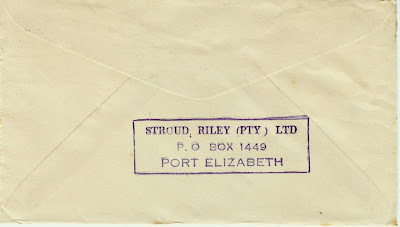 Stroud Riley is still a textile interlining manufacturers in Lindsay Road. And, according to the phone book, it still has the same PO Box number! 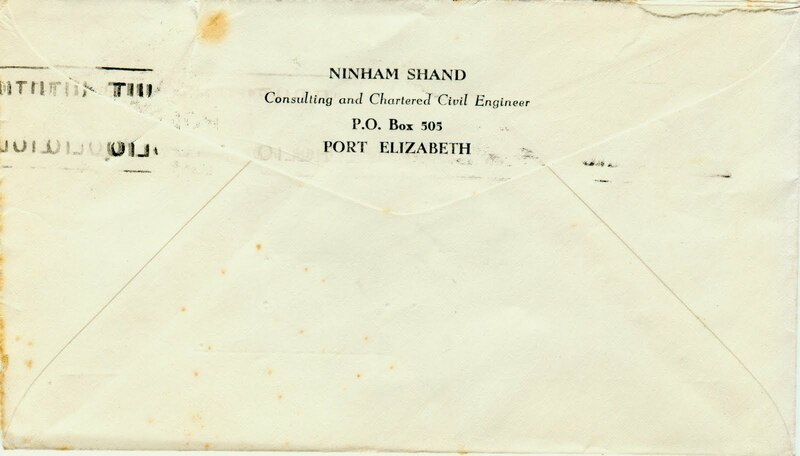 Now here's a famous name: Ninham Shand, consulting and chartered civil engineers. But they're not in the PE phone book. Ah, but they are - as Aurecon, which a web search tells me was formed with the merger of Africon, Connell Wagner and Ninham Shand. That's in SA. They are of course a global firm with over 80 offices around the world. 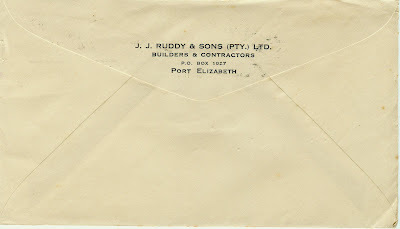 J J Ruddy & Sons were building contractors, but are no longer listed. 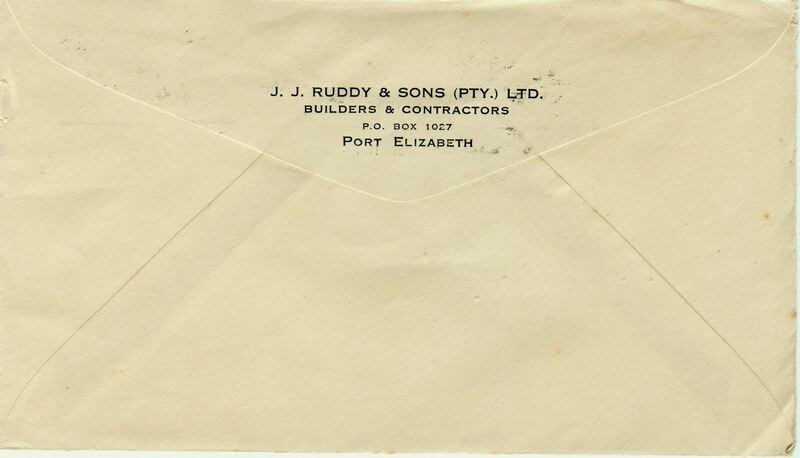 All I found was a Ruddy's take aways in Algoa Park. 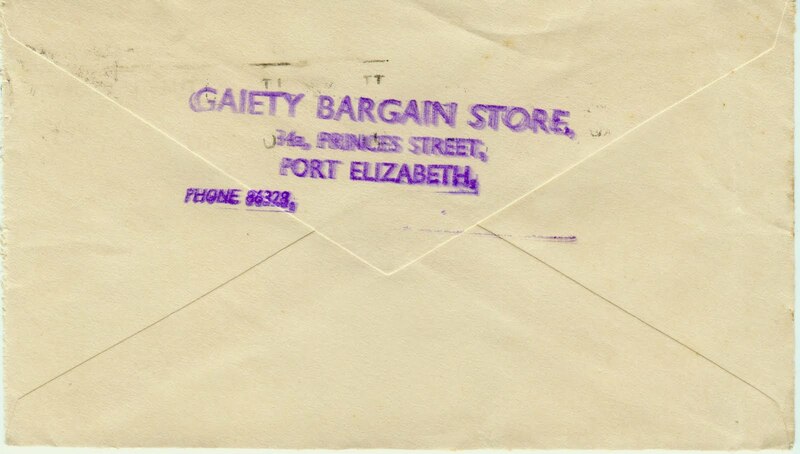 At a time before homosexuality was even spoken about, it would have not been an issue to call your shop Gaiety Bargain Store. It's no longer in the phone book. 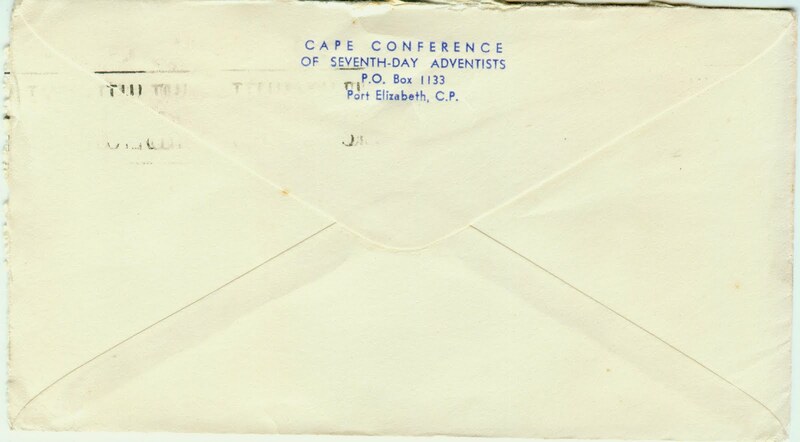 The Seventh-Day Adventist Church is still very much in the phone book, with headquarters in Walmer. 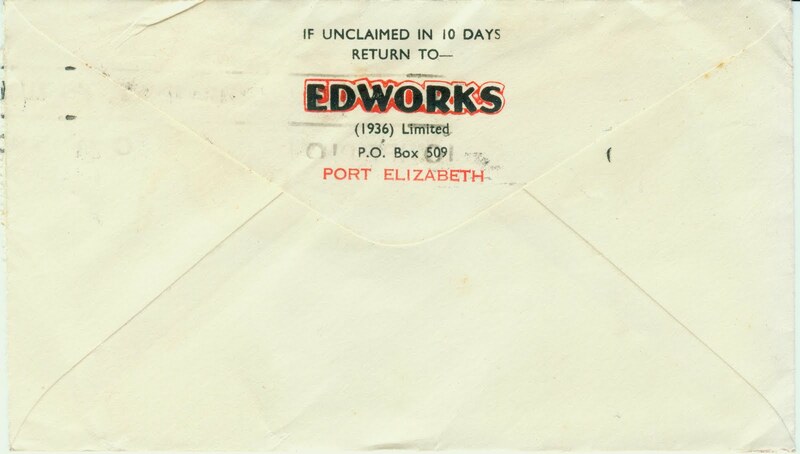 Edworks is a name I have known since my youth in East London. But alas they too seem to be no more - they're not listed in the PE phone book. There's not much definitive about the firm on the Web either, but they were/are shoe manufacturers.